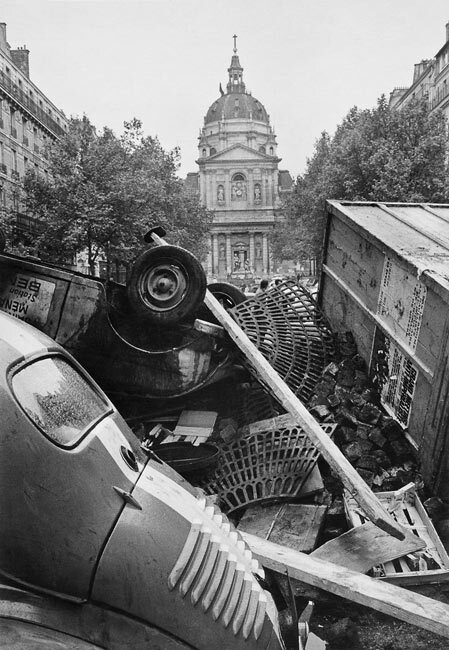 Paris, 1953. 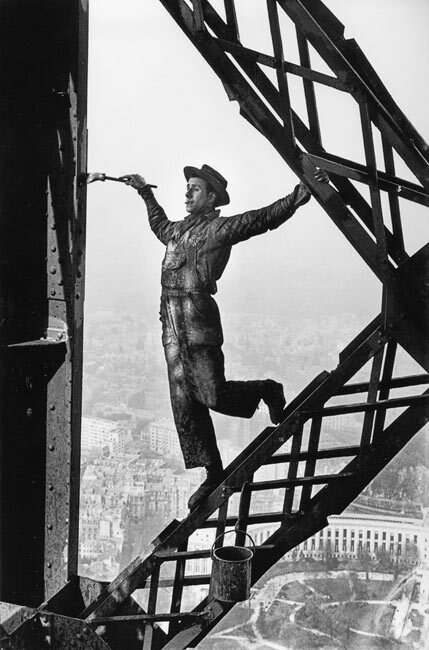 While painting the Eiffel tower, this fellow – nicknamed Zazou – was perfectly relaxed. But I felt dizzy and had to close my eyes every time he leaned over to dip his brush in the paint can. 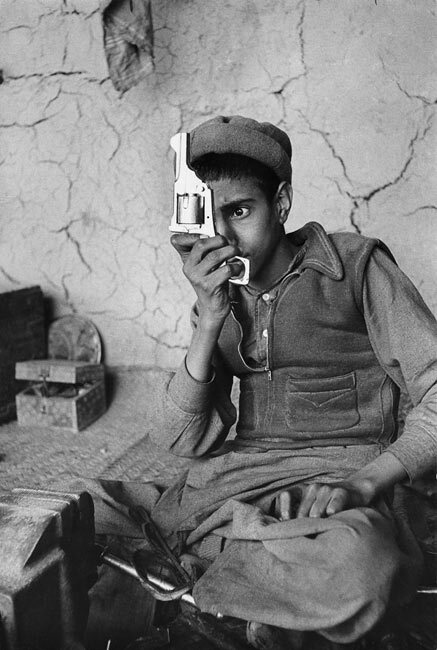 Tribal firearms worskhop at the border between Afghanistan and Pakistan, 1956. Now that this boy has grown up, in which wars has he fought? 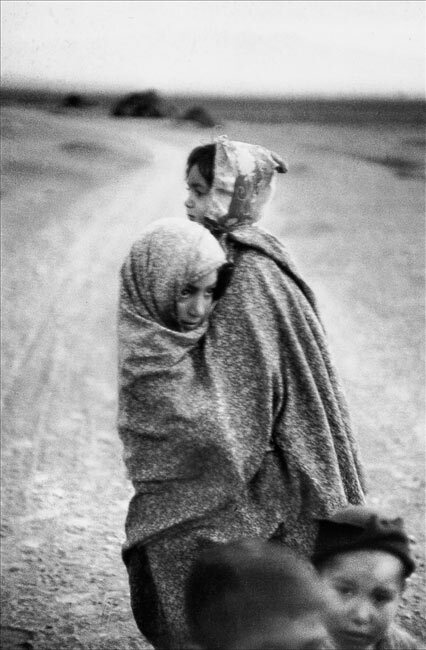 Close to the Turkish border, Iran, 1955. 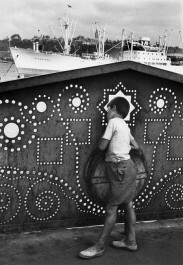 Istanbul, 1955. 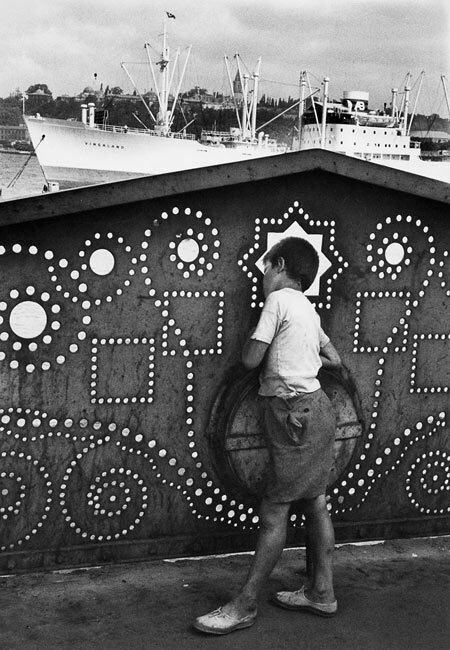 Through the openwork of the Galata Bridge spanning the Golden Horn, this poor boy is perhaps dreaming of distant voyages. 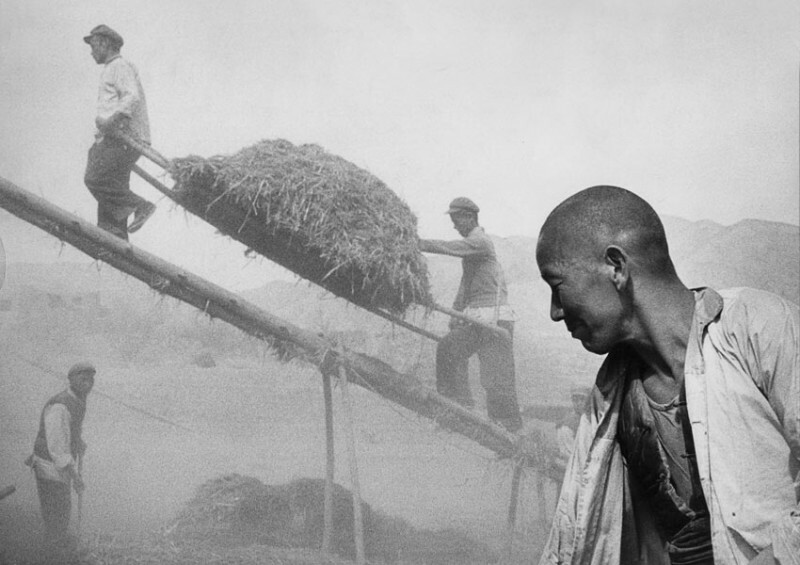 Anshan, China, 1957. The engineer in this steelworks needs a separate phone for every line – switchboards only arrived fifteen years later. Yougoslavia, 1953. 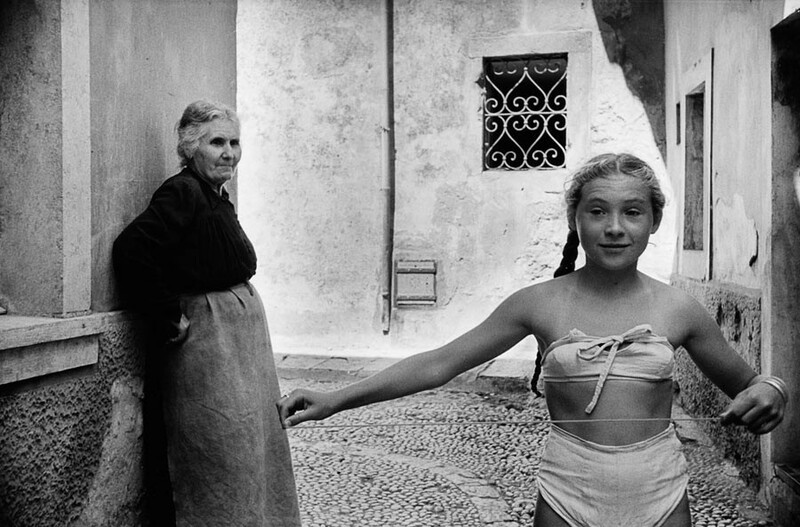 A young girl wears a “bikini” in Dubrovnik small streets, under the disapproving look of her grandmother. 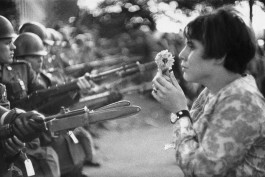 Vietnam, 1969. 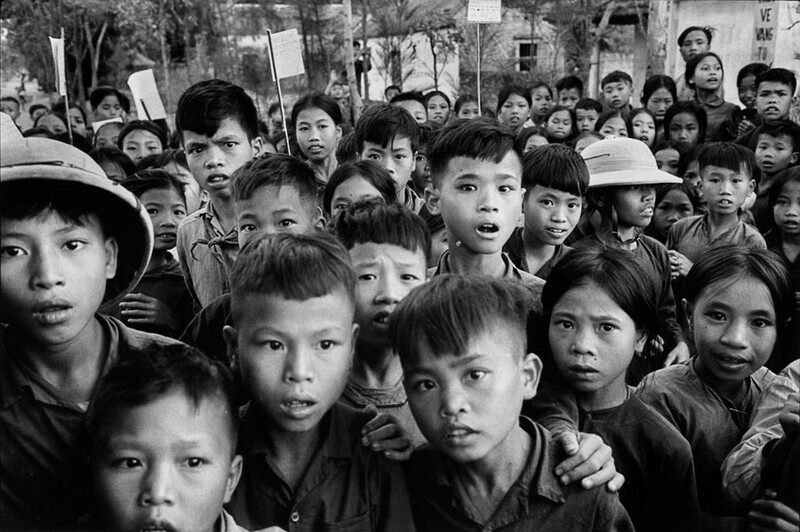 In a isolated village in North Vietnam, these schoolchildren stare at me as they leave the classroom, their curiosity mixed with alarm – I was probably the first Europeans they had ever seen. China, 1957. 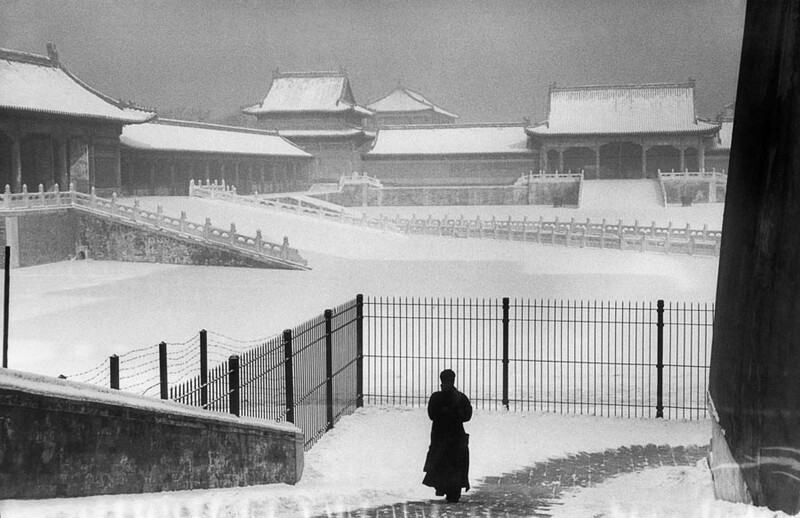 Forbidden city under the snow. Cambodia, 1969. A young Khmer has been bathing in a moat of Angkor. Angkor, Cambodia, 1990. 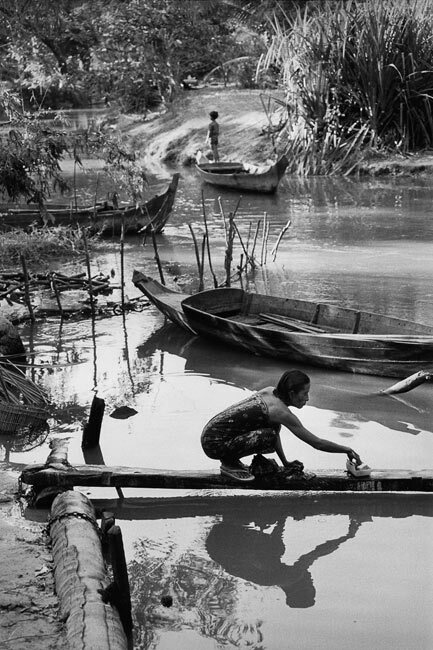 A womman wasjes her sarong on the banks of the Stung Siem Reap river. She looks like one of the “apsaras” carved on the temples. 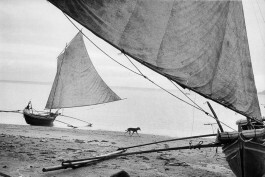 Cambodia, 1981. 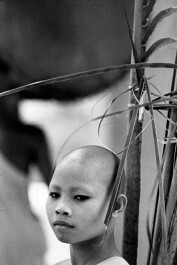 Is this a young girl or a boy on the edge of the river that flows from Siem Reap to the lake? India, 1956. Washing elephants in the Ganges. 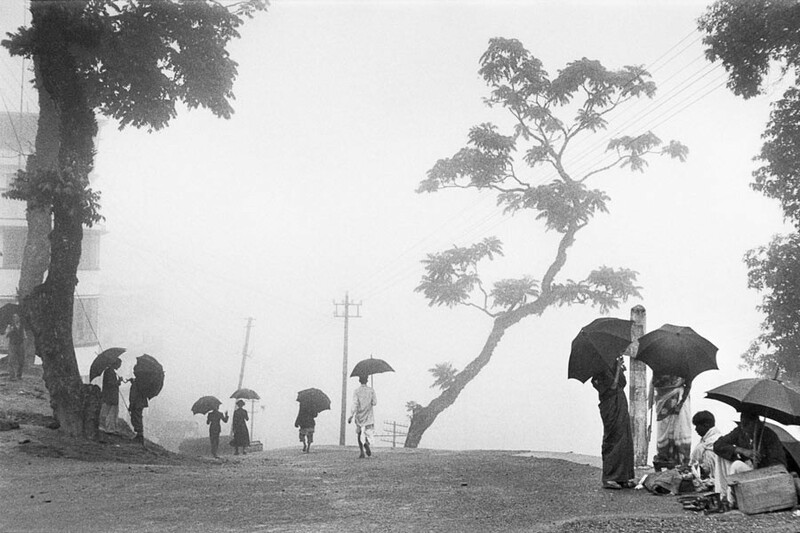 India, 1956. 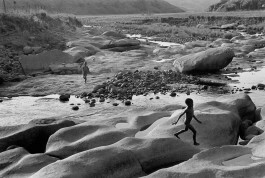 After bathing in the Ganges, Hindus dry their “dhotis” in the sun. Indonesia, 1957. A beach in evening light. 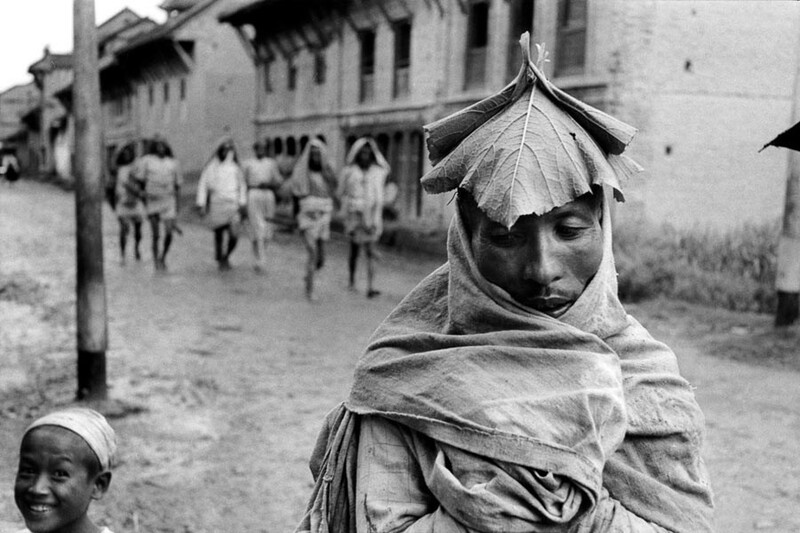 India, 1956. 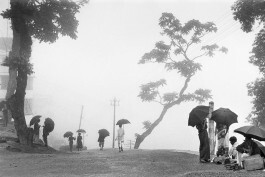 Set against the Himalayas, Darjeeling is often cloaked in mist and drizzle, both of which are excellent for growing its famous tea. 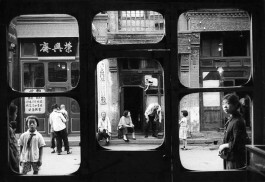 China, 1957. Harvest in Shaanxi province. Bratislava, 1995. Walking down the streets of the Slovakian capital, my eye was arrested by this lightning-like stare on a poster, produced by a slash that strings from the pupil. 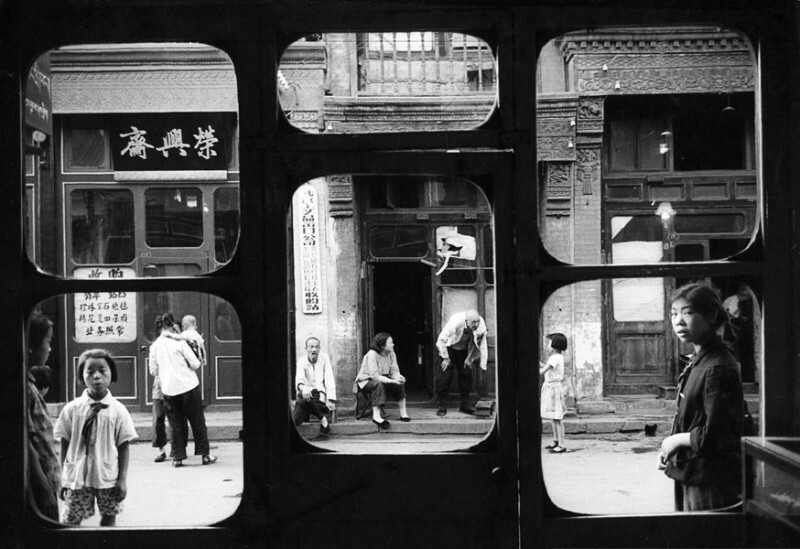 China, 1957. 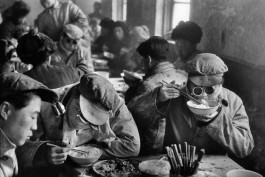 An engineer at the Anshan steel work eats in the cafeteria, her protective goggles clipped to the brim of her cap. 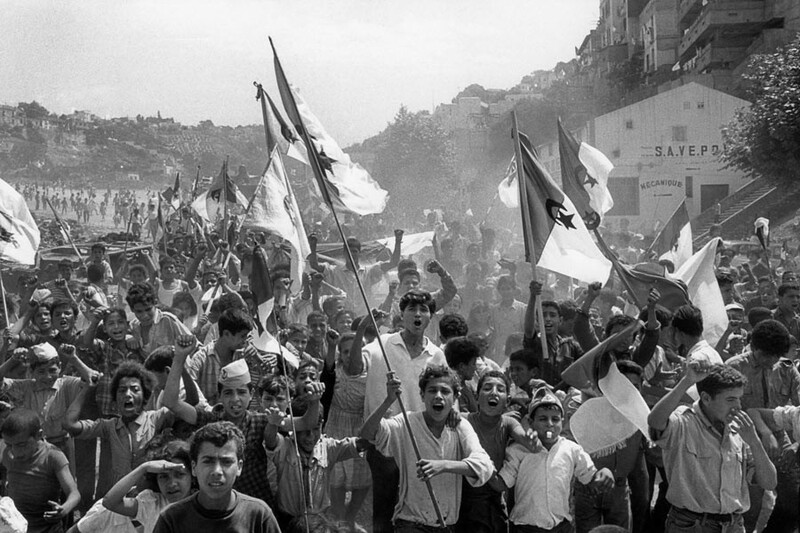 France, 1959. 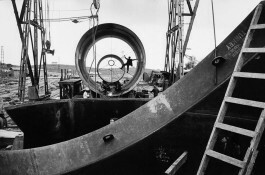 Construction site of the liner France in Saint-Nazaire. Turkey, 1955. Building the Seyhan Dam hydroelectric plant in Adana province. India, 1985. In the eighteenth century, the maharajah of Jaipur built this observatory in Delhi, now a favorite rendez-vous for lovers. 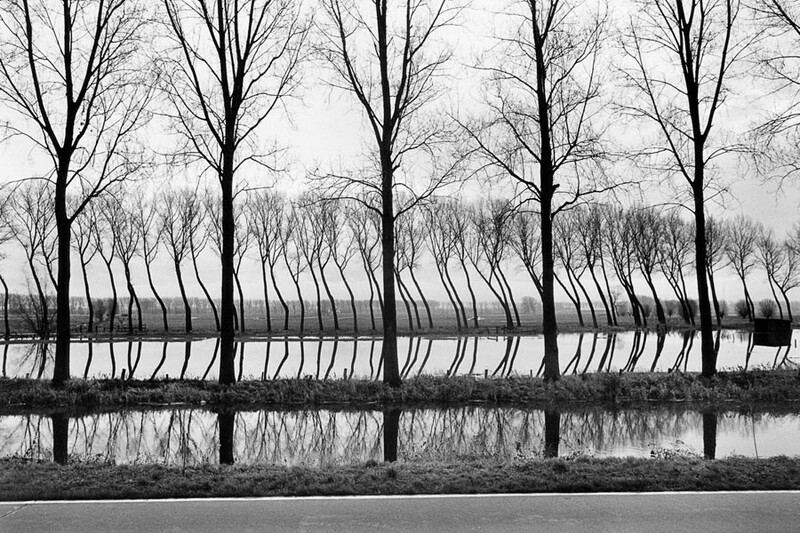 Netherlands, 1994. 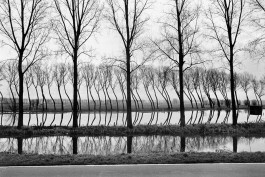 Strange reflections in a Dutch canal. 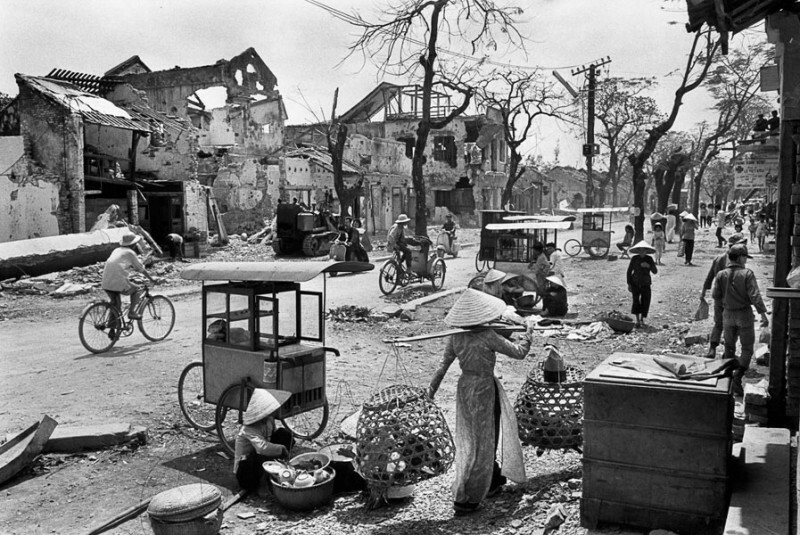 Hue, Vietnam, 1968. 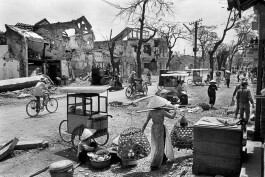 The city was almost entirely destroyed by the battle. 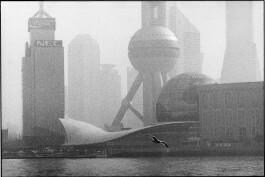 Shanghai, 2002. 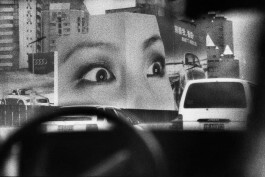 Advertising is as ubiquitous today as Maoist propaganda was in the past. China, 2002. 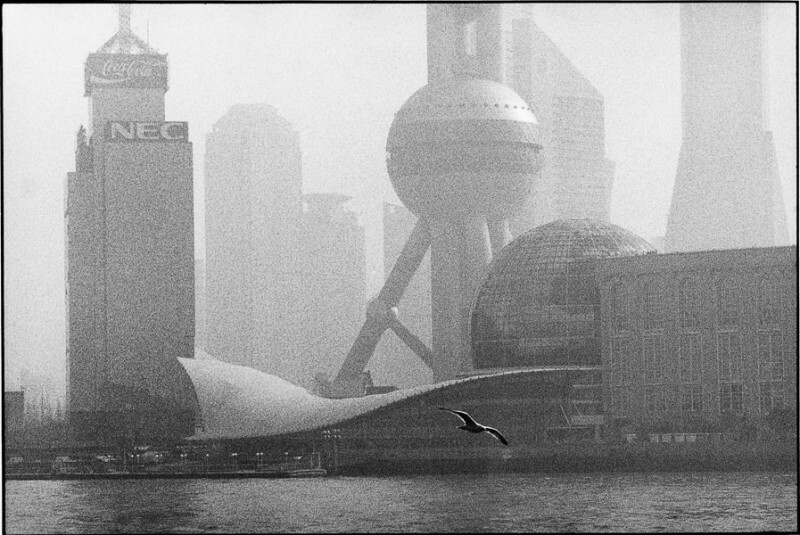 In the port district of Pudong, a real seagull flies in front of a theater in a shape of a giant gull. 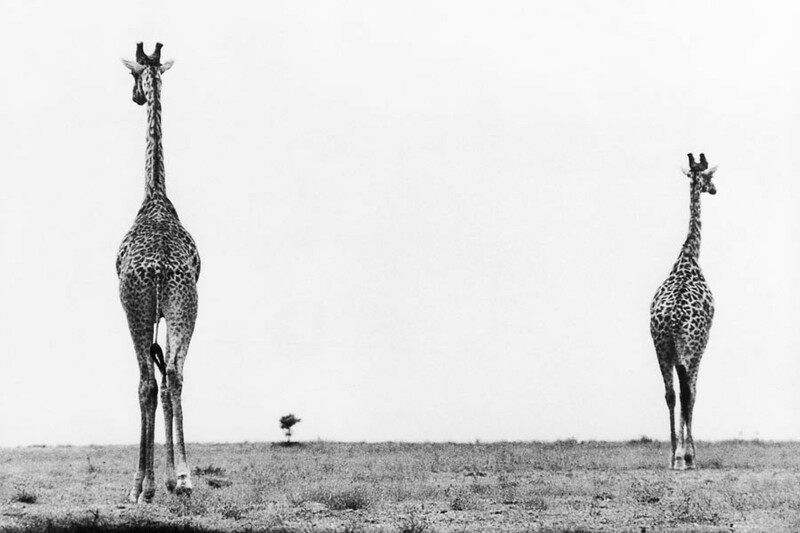 Ghana, 1960. 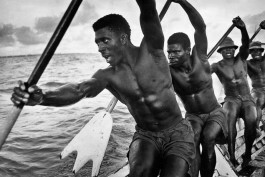 The boatmen chant as they paddle. Japan, 1958. 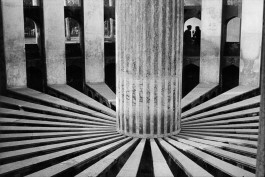 Japan’s first photography festival. Models provided by Fuji pose at the volcanic site of Karuizawa to the great delight of amateur and professional photographers. South Africa, 1998. This is not the moon, but the virgin landscape of KwaZulu between Johannesburg and Cape Town. 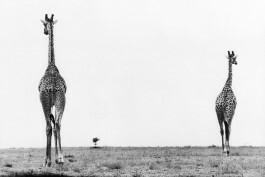 Ghana, 1960. 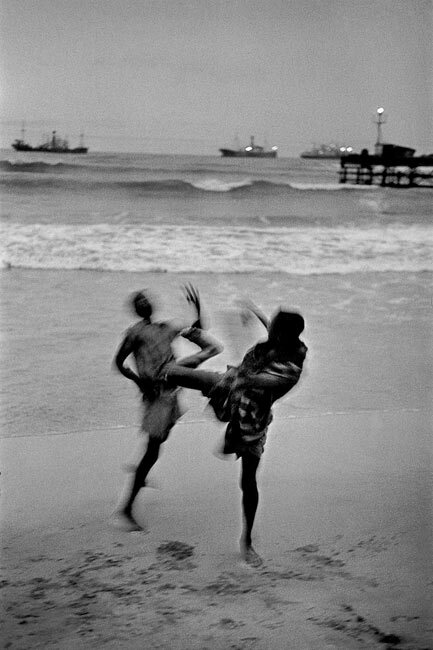 Two boys on the beach in Accra in the evening. Are they fighting or inventing a new dance? 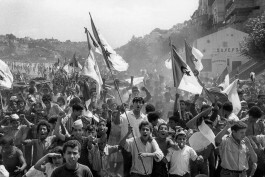 France, May 1968. 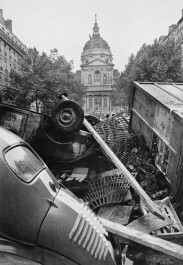 Sorbonne chapel over a barricade. 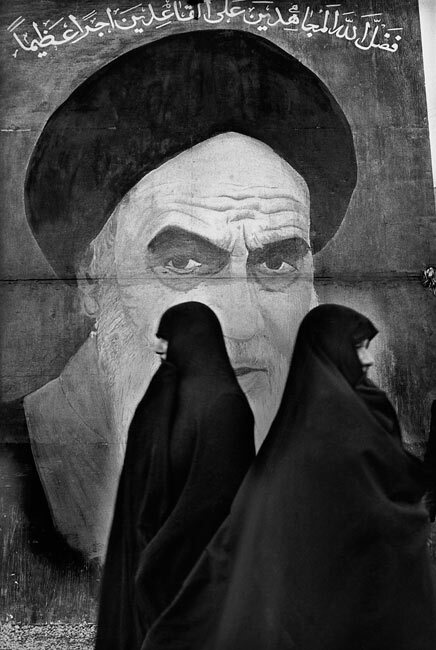 Iran, 1979. 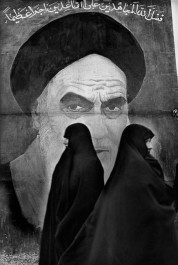 Ayatollak Khomeiny gazes sternly from the walls of Theran, where he imposed Islamic fundamentalism as soon as he returned to Iran. 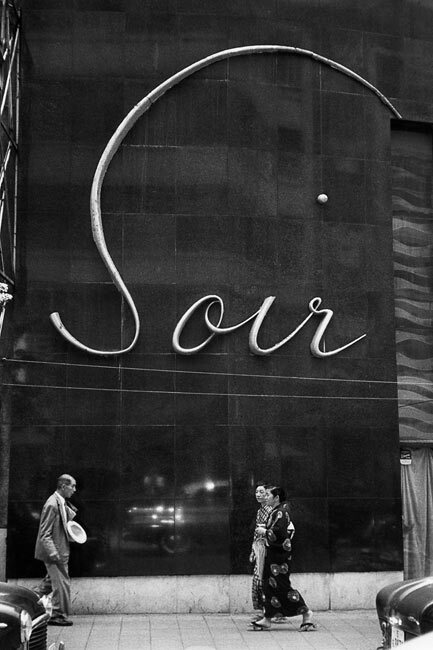 China, 2002. In the Yuyuan Garden, right in the heart of old Shanghai, some young girls left a little plastic bag, which I’ve now dubbed the Mandarin’s bunny rabbit. India, 1956. 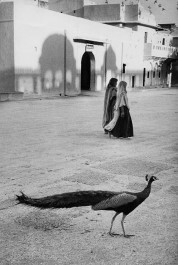 This black-and-white photo of a square in Jaipur unfortunately fails to convey the chromatic rhyme between sari and peacock feathers. 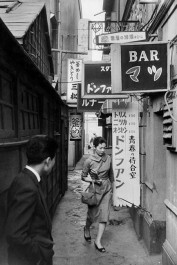 Tokyo, 1958. This graceful young woman and the man looking at her evoke the Hong Kong film “In the mood for love”. Japan, 1958. Night-club in Ginza, Tokyo. 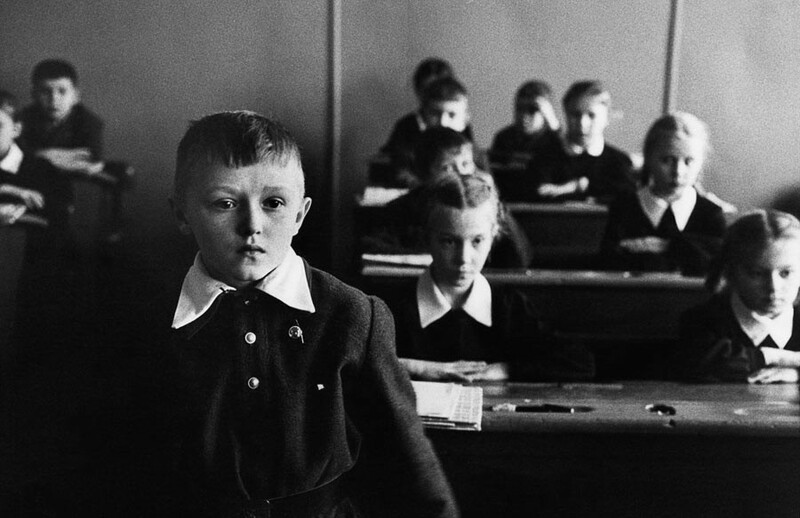 Yougoslavia, 1953. 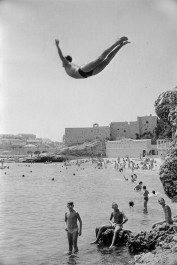 A man diving in front of Dubrovnik walls. 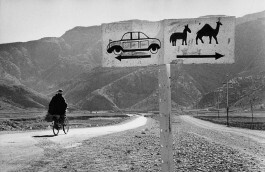 Soviet Union, 1960. Sergei and one of his comrades practice in front of the University of Moscow. Moscow, 1960. 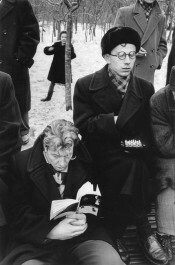 In Gorky, Park, neither solitary chess players nor outdoor readers and discouraged by the cold Russian winters. 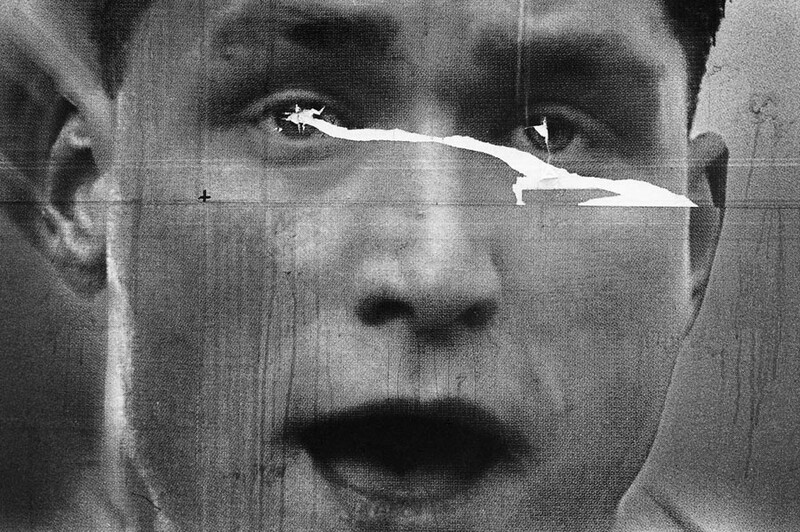 Prague, 1982. Isabela in the home of her mother, author Anna Farova, a signatory of Charter 77 and a mainstay of the extended family of photographers. England, 1954. 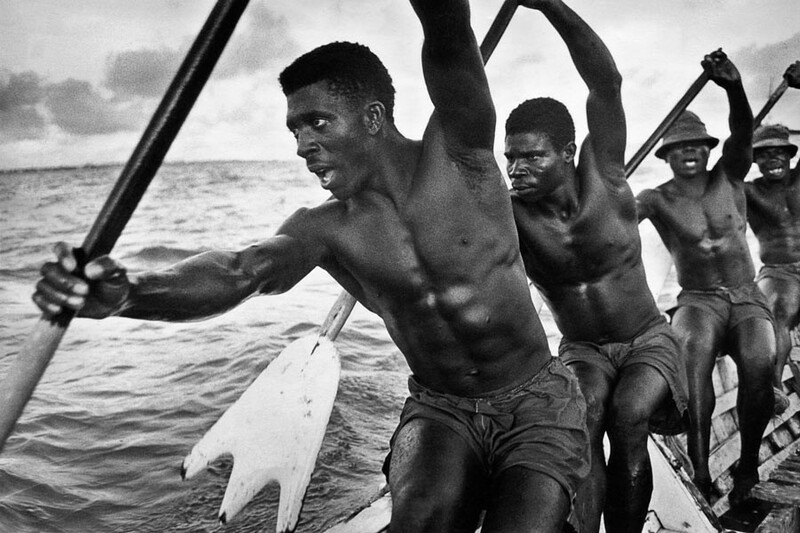 Robert Capa got me this job for the magazine “Picture Post”. 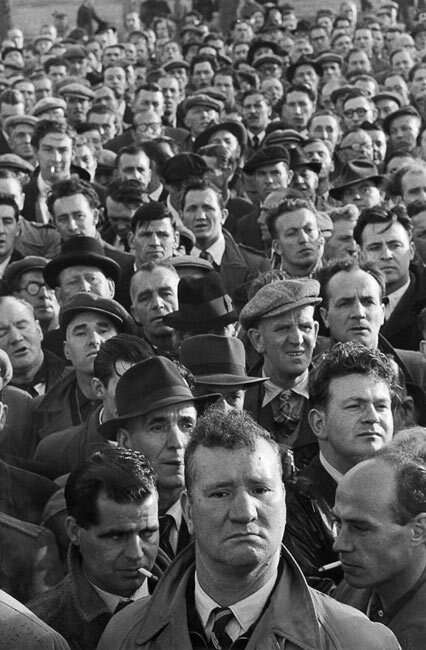 England, 1954. 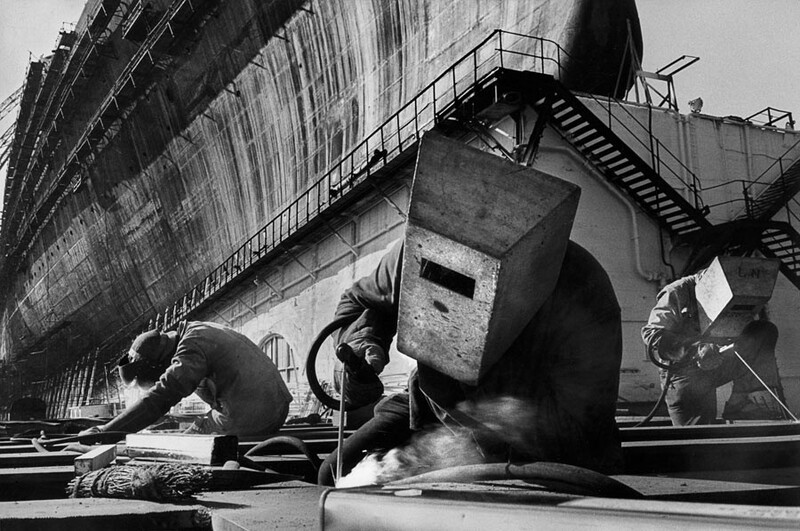 Dockers on strike. 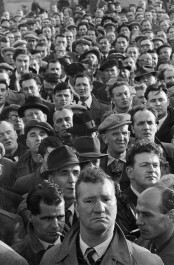 Paris, 1953. 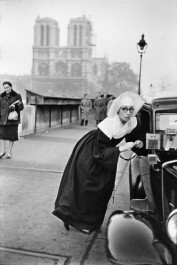 A nun chats with a taxi driver who, by chance, is free. Paris, 1953. 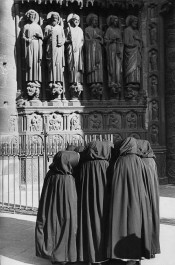 Dominican nuns in front of Notre-Dame. Rather than looking at the saints, they chatted among themselves – about what, I’ll never know. Paris, 1953. While painting the Eiffel tower, this fellow - nicknamed Zazou - was perfectly relaxed. But I felt dizzy and had to close my eyes every time he leaned over to dip his brush in the paint can. 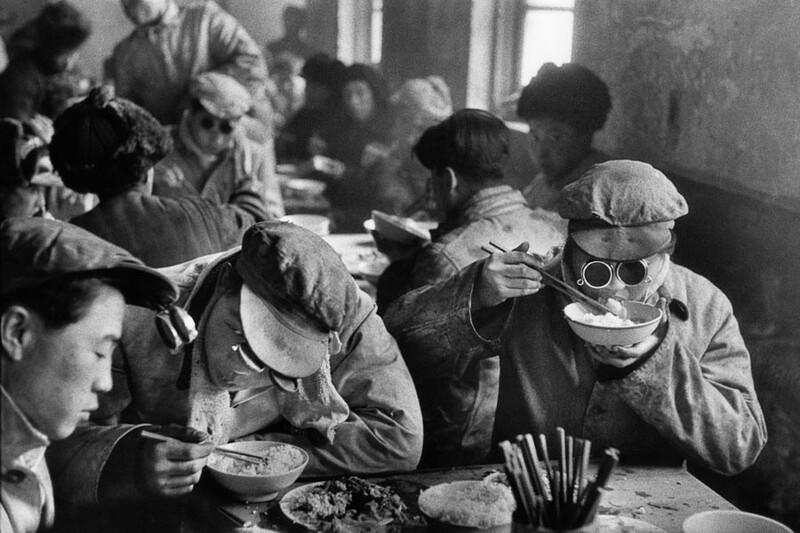 Anshan, China, 1957. 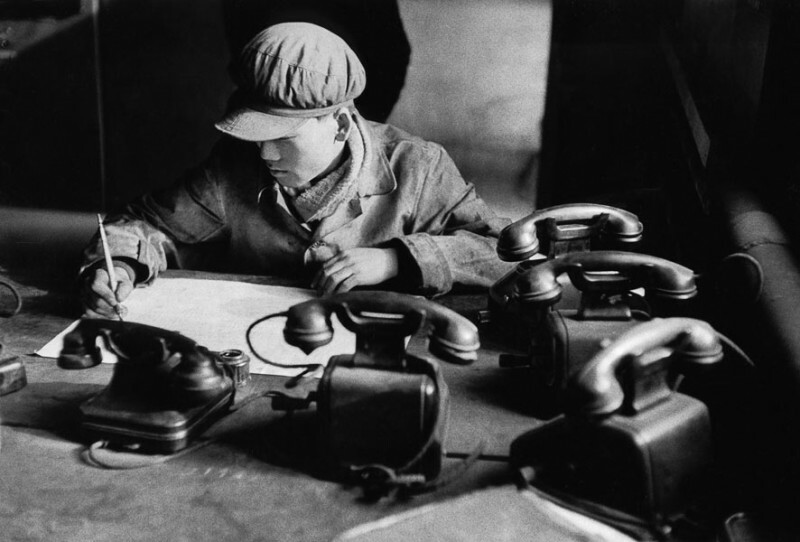 The engineer in this steelworks needs a separate phone for every line - switchboards only arrived fifteen years later. Yougoslavia, 1953. A young girl wears a "bikini" in Dubrovnik small streets, under the disapproving look of her grandmother. Vietnam, 1969. 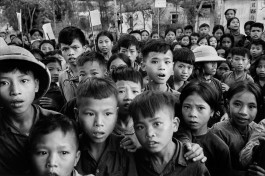 In a isolated village in North Vietnam, these schoolchildren stare at me as they leave the classroom, their curiosity mixed with alarm - I was probably the first Europeans they had ever seen. 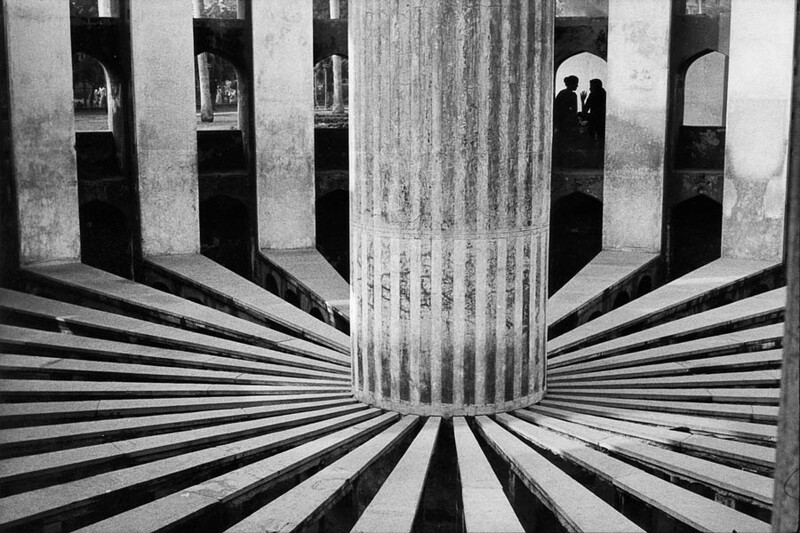 Angkor, Cambodia, 1990. 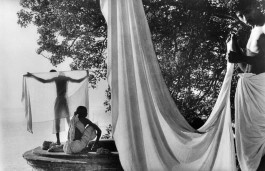 A womman wasjes her sarong on the banks of the Stung Siem Reap river. She looks like one of the "apsaras" carved on the temples. India, 1956. 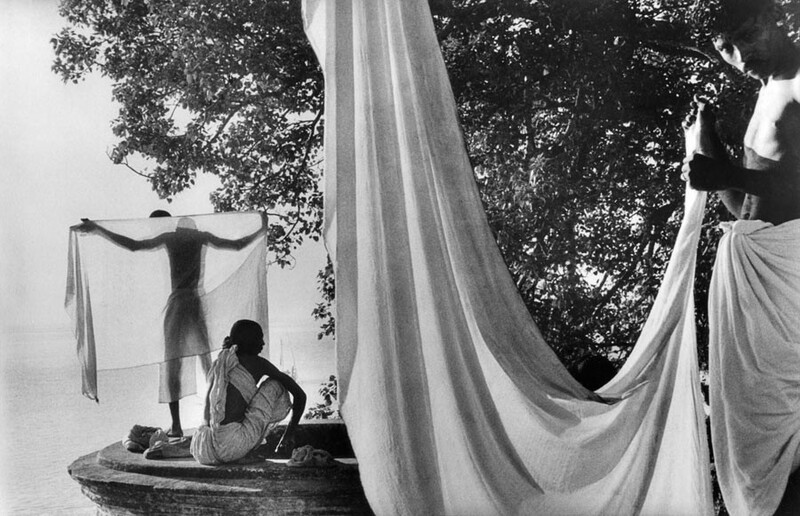 After bathing in the Ganges, Hindus dry their "dhotis" in the sun. Japan, 1958. 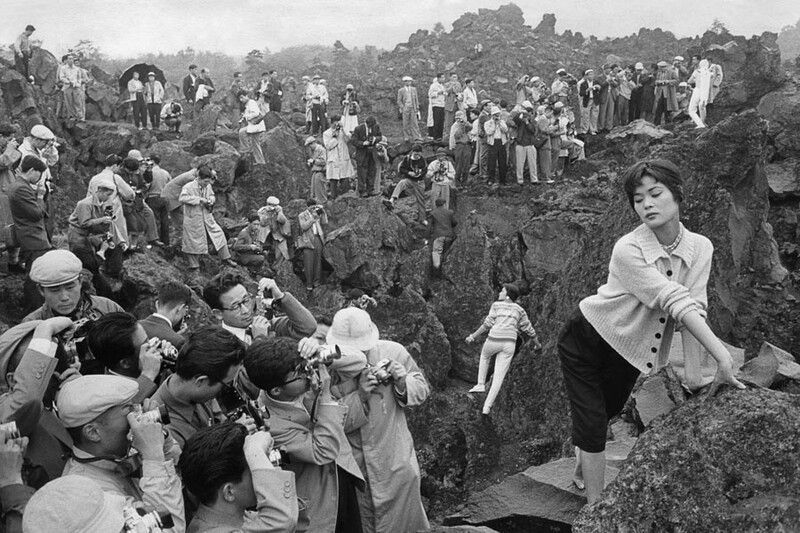 Japan's first photography festival. Models provided by Fuji pose at the volcanic site of Karuizawa to the great delight of amateur and professional photographers. 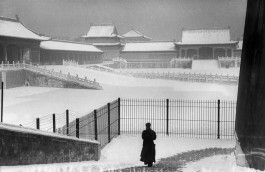 China, 2002. 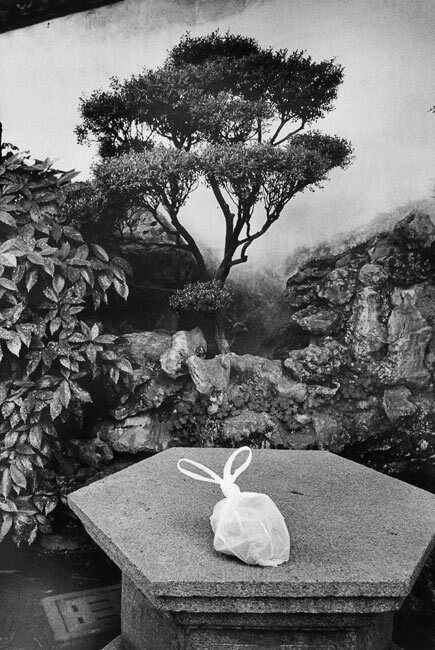 In the Yuyuan Garden, right in the heart of old Shanghai, some young girls left a little plastic bag, which I've now dubbed the Mandarin's bunny rabbit. 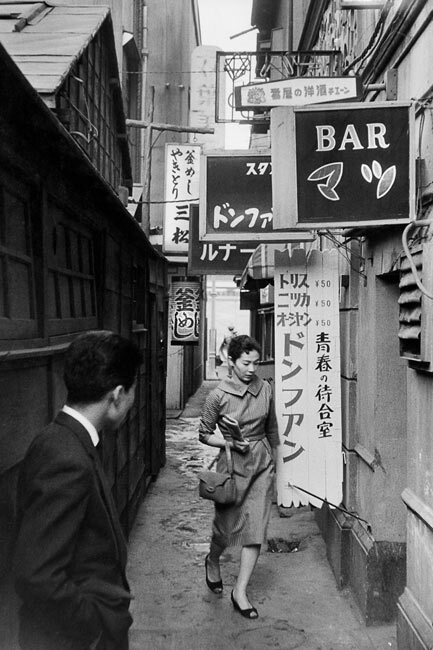 Tokyo, 1958. This graceful young woman and the man looking at her evoke the Hong Kong film "In the mood for love". 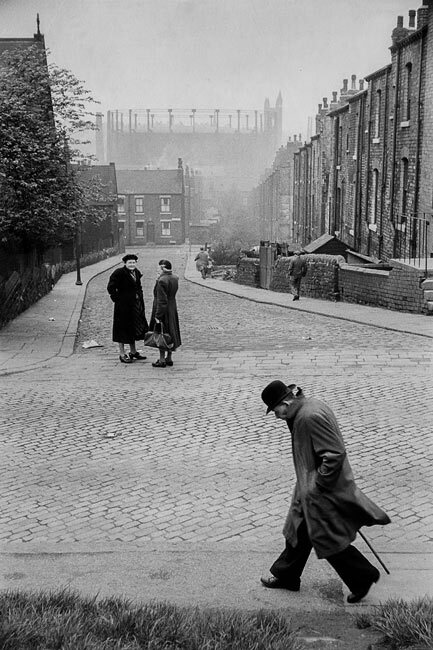 England, 1954. 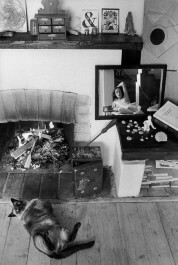 Robert Capa got me this job for the magazine "Picture Post". Paris, 1953. Dominican nuns in front of Notre-Dame. Rather than looking at the saints, they chatted among themselves - about what, I'll never know.